With cybercrime on the rise, more and more users are on the look for online services that offer them sufficient security and encryption. In fact, this is a factor that drives many customers to pCloud – we are known to offer services that are incredibly reliable and we work hard to maintain this reputation. We’ve written about multi-layer protection before, but many of our readers and users keep asking about ways to increase the security of their digital presence and footprint. This makes perfect sense – after all, the average costs of online crime in the USA for example exceeded 15 million dollars in 2015. Small and medium businesses, large corporations and private individuals are all potential victims of security breaches like hack attacks, identity theft, etc. Just this week Google admitted that 1.3 million Android accounts were hacked and all the files – photos, videos, emails, documents, etc. – associated with these accounts were compromised. 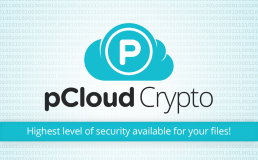 pCloud is one of the safest cloud storage solutions that you can find on the market nowadays, however, there are little tips that can make your accounts even safer. Here is a quick and easy tutorial that will help you feel (and be!) even safer in the cloud. pCloud is wonderful in the way that it allows you to access your files from any device – and this makes it possible to use it from computers that may not be yours. What happens if you log into your account from a public computer and forget to logout? Or if your account is compromised and someone else knows your password? Easy. This will log you out from any device that you don’t want to be logged in, and since you’ve already changed your password, you have managed to protect your pCloud account better. Our mobile apps allow you to set a second verification step for accessing them – i.e. a password that is required to open the applications and see the files in your pCloud account. Setting that up is super easy, just keep reading. Enter a security code and confirm it. Tap on “Set up lock”. With this functionality enabled, you would need to enter your additional 4-digit password every time you want to open the app on your phone. This way, even if your phone gets into someone else’s hands, they won’t be able to access and see the files you keep in your cloud account. Even if you pCloud app is open, the Passcode Lock cannot be disabled without entering it first. This last piece of advice may seem like common sense but we’re still going to mention it. We all tend to forget how interconnected our online accounts can be, and that just like all roads leading to Rome, all of your online accounts lead to our emails. If a hacker gets access to your email address, they can easily reset your passwords for a number of other online accounts you use. This is why it’s important to guard your email account and make sure its password is strong enough.